A recent video of a grandmother’s reaction to receiving a puppy for Christmas made its rounds on the internet early this year. Grandma is so surprised that she leaps to her feet and can’t stop squealing of joy. It’s a heartwarming scene that instantly puts a smile on your face. See video here. Loneliness is one of the perennial concerns caregivers and families members have for older adult relatives. These concerns are magnified by the colder months when it is more difficult for elders to get outside and interact with others. But an option to aid year-round loneliness is a furry companion – a pet. In the early stages of the Pets for the Elderly Foundation, a program that works with shelters to adopt rescue animals with seniors, the team received a letter regarding an older couple that adopted a dog. The woman wrote that shortly after the adoption her husband passed away. But during his sickness, he had peace of mind knowing his wife would be okay because she had the comfort and companionship of their dog. Studies show that having a companion pet can help lower blood pressure and as a result improve heart rates. 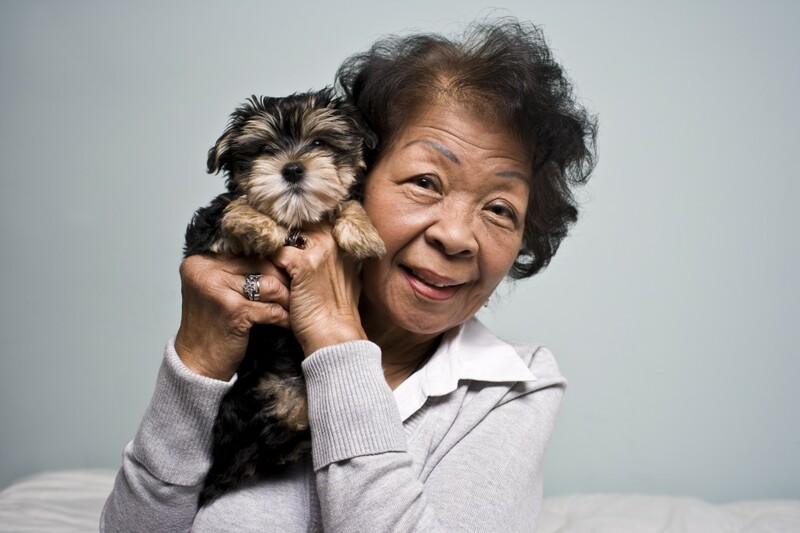 In terms of psychological effects of pet ownership on seniors Susan Kurowski, executive director of Pets for the Elderly, hears positive anecdotes daily. The shelters that work with the foundation would not necessarily adopt a “bounding puppy” to a senior if his or her physical capabilities can’t keep up but as long as their personalities match, the companionship is fulfilling. If you’re concerned about what would happen in the case an animal passes away before the owner, there are animal groups and shelters that offer grief meetings and vigils. Seek more information from your local animal shelter or veterinarian. Consider adopting from your local shelter. There are many animals that need homes and each has their own unique personality. Don’t rush it. Take your time and make sure you’re prepared with all the supplies a pet would require. Do your research. Learn about different breeds and their personalities to see what suits you and your lifestyle best.